This is a beautiful Victorian Jewellery box, dating to 1880/90. 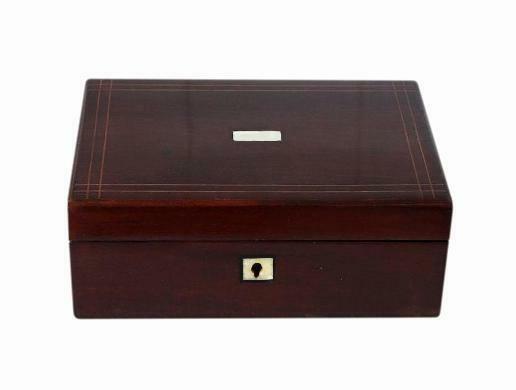 It is a lovely medium sized box with a deep storage compartment. 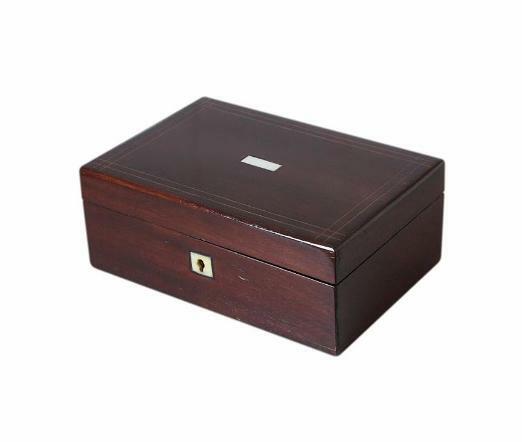 This box has a beautiful dark Mahogany veneer. The lid has an inlaid bone cartouche and Satinwood stringing, and there is an inlaid bone escutcheon to the keyhole. 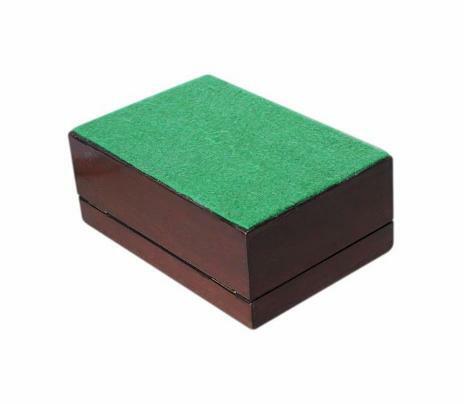 The bottom of the box has a new felt covering which will protect the surfaces of furniture. 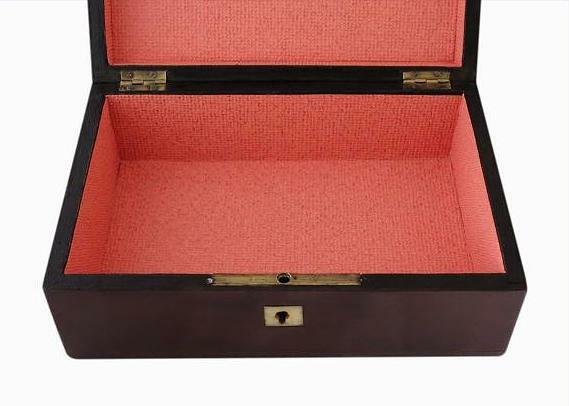 The box has its original brass stop hinges which prevent the lid from falling back. It also has its original brass lock. Please note there is no key with this box. The interior has a single deep storage compartment. This has new quality textured paper linings which have the appearance of fabric. The same is within the inside of the lid. This box is in good condition for its age. It is of sound structure and its hinges are in good working order. There are some old repairs to the veneer in a few areas around the base of the box. There is a small amount of wear around the edges of the cartouche and escutcheon. The interior linings, being new, are in excellent clean and undamaged condition. 20.1 by 12.6cm with a 5.0cm depth.